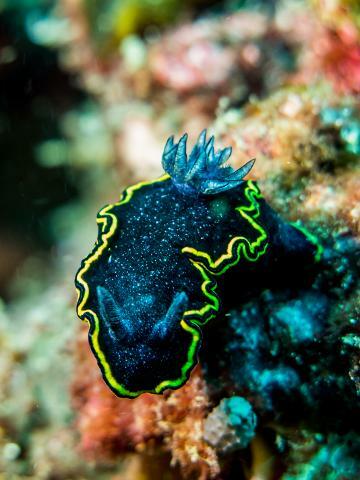 Nudibranchs - they're obscure, bizarre, psychedelic, and weird. For photographers, they can be the perfect macro subject - not too fast, full of contrast, and interesting to look at. 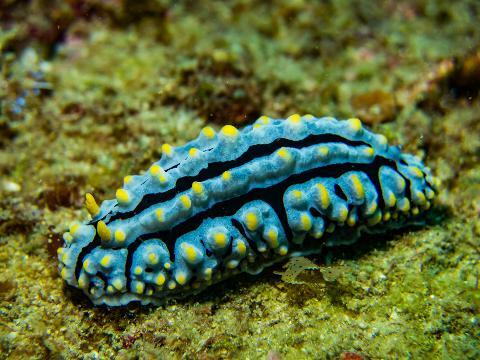 For the naturalist, there is nothing like a nudibranch - an animal with its lungs exposed, over 3000 different species, some being transparent, some being solar-powered, and all being hermaphroditic. These animals are very unique. 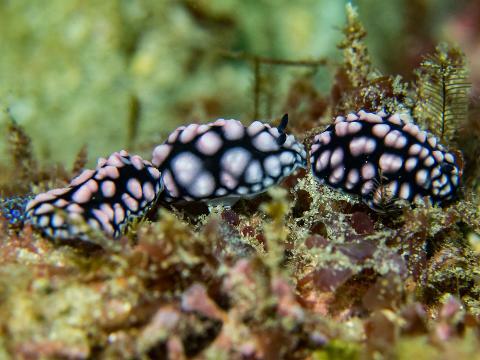 Divers can often make their dive somewhat of an "Easter egg hunt", as the search for nudibranchs can be engaging, with new varieties continuously being discovered. 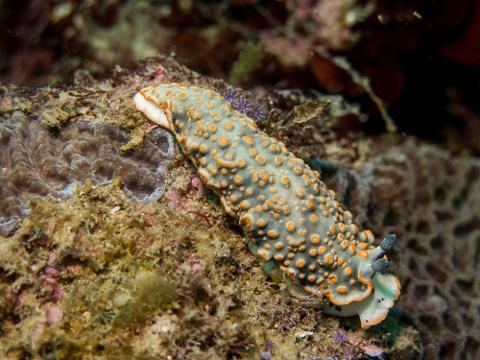 Nudibranchs can be found in most marine environments - in tide pools, estuaries, and even the open water, with over 750 species found on the Sunshine Coast. 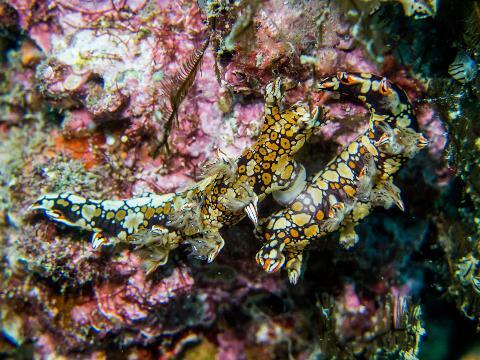 Our "nudi" dives typically take place on Mooloolaba's local reefs, where there is an abundance of nudibranchs amongst the other marine life. On your arrival to Sunreef, we will check you in and see that your gear is organized, whether you prefer one of our staff to set up for you, or you would like to do it for yourself. We'll then depart out to one of our local reefs. Each diver will be given a thorough briefing about the dive as the boat traverses the calm waters of the Mooloolah River. 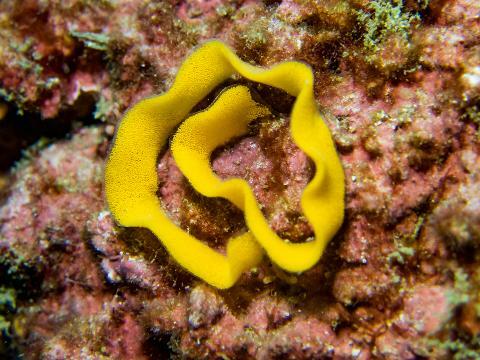 We have a nudibranch expert brought in for the day who will be explaining which species we may see on the dive. 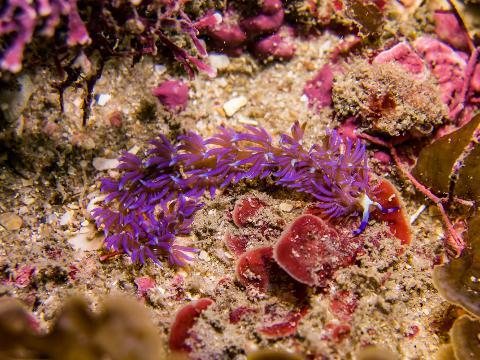 The day's weather, diving conditions, and recent nudibranch sightings impact what site we will choose for the day, as we always try to give you the best experience. Once we anchor the boat, the crew will help get all divers into the water. The dive will last for 50 minutes, or as soon as a diver or their buddy reaches 50 bar, whichever comes first. We then have a 30 minute surface interval before getting back into the water for a second dive. 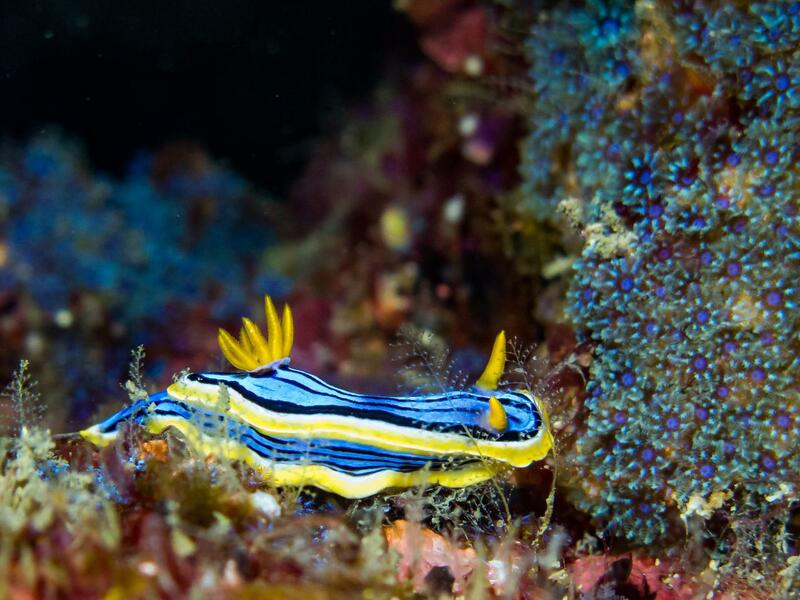 The nudibranch expert will also be diving on the trip, so you are welcome to ask any questions whilst on board the boat. Occasionally, she/he may even gather some nudibranchs to bring to the surface for us to examine and for research purposes. After the second dive, we return to the shop, where there is a post-dive briefing, the nudibranch expert then gives a presentation on the nudi world. 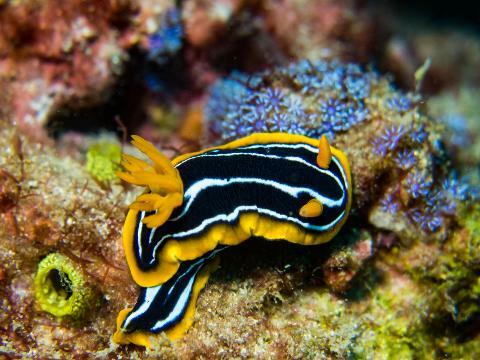 Each month is a new presentation with different focuses, with past presentations including monstrous nudibranchs, hard to find nudibranchs, and rare nudibranchs of the Sunshine Coast. If you are diving with your own gear, the dive crew can also wash your gear for you. This will happen during the presentation, and then you can collect your drying, freshly washed gear before departing. Bear in mind that many of our dive sites are +20 meters deep, and whilst we don't require an advanced diver qualification or a nitrox qualification (also known as enriched air or EANX), both can be handy to have. We offer nitrox tank fill upgrades for free, which can be helpful when diving a bit deeper for longer. This can impact your dive time for your second as our surface interval time is limited. If you are not nitrox certified, we offer nitrox courses for $99, which can be conducted on the day. See our nitrox course page for more details. Our advanced course covers deeper dive principles, along with other diving aspects, which can prove useful on these dives. See our advanced course page for extra information. As with all dives, the night dive is subject to weather, and we will send out an email and text the day before at 3:30 pm to confirm the trip and its departure time. Please note if you have not dived in the last 2 years you will be required to complete a Scuba Review/Refresher course before you can participate in any diving activities. These can be arranged on most days at set times provided we have at least 3 days notice. Please contact us on 07 5444 5656 for more information. This is also in open water and we suggest that you look into seasickness medication to minimize the chance of it impacting your trip.